Found one file extension association related to Corel Gallery and 1 file format developed specifically for use with Corel Gallery. Find what you're looking for with spectacular graphics from Corel Gallery. The high-quality clip-art images, photos, Web graphics, animations, and fonts found in each Corel Gallery collection let you add new life to Web pages, print projects, and more--in a snap. The Corel Gallery software seems to be old or discontinued. 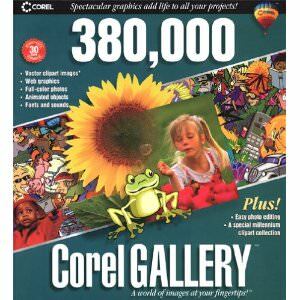 If you need more information please contact the developers of Corel Gallery (Corel Corporation), or check out their product website.